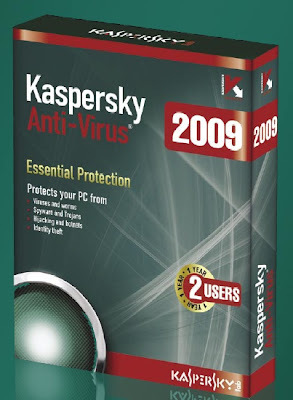 Kaspersky Anti-virus 2009 protects you from Computer virus, Trojans, Computer worms, all types of malware, adware and spyware using latest protection technologies. This computer virus protection software scans files , email and internet traffic for malicious codes and any phishing attacks and it also offers protection to instant messengers. Automated hourly updates protects your computer from new threats. Kaspersky Anti-virus 2009 have improved detection and protection against all types of rootkits, Key-loggers etc.